Sherie Lynn McGrew obituary. Carnes Funeral Home. 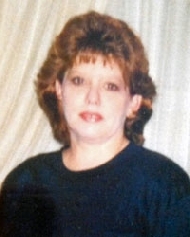 Sherie Lynn (Williams) McGrew, 54, passed away on Friday, March 22, 2013 at Mainland Hospital in Texas City, Texas. She was born on February 24, 1959 in Houston, Texas to Anita Jo Williams and the late Charles Raymond Williams. Sherie is survived by her son John U. Martinez, Jr. and his wife Nacona of Texas City, Texas and her daughter Cara M. Martinez of Texas City, Texas. She is also survived by her mother Anita Jo Williams of Texas City, Texas; her sisters Anita (Paul) Brown of Santa Fe, Texas; Debbie (David) Jones of Dickinson, Texas; Brenda (Jesse) Radford of Angleton, Texas; her brothers Chuck (Tammie) Williams of Webster, Texas; and Thomas (T.E.) Williams of Texas City, Texas. She is survived by her grandson Johnathan Martinez of Alvin, Texas and her granddaughter Shelby Martinez of Texas City, Texas along with many numerous nieces, nephews and other relatives. Sherie was preceded in death by two husbands, Donald (Bubba) McGrew of San Leon, Texas and David Aldridge of Texas City, Texas. She was also preceded in death by her father, Charles R. Williams of Texas City, Texas and his parents of Snyder, Texas and her maternal grandparents of Abilene, Texas. Sherie will be cremated under the direction of Carnes Funeral Home in Texas City, Texas. A memorial service will be held at a later date.